North Central Airlines was a regional airline in the midwestern United States. Founded as Wisconsin Central Airlines in 1944 in Clintonville, Wisconsin, the company moved to Madison in 1947. This is also when the "Herman the duck" logo was born on Wisconsin Central's first Lockheed Electra 10A, NC14262, in 1948. North Central's headquarters were moved to Minneapolis–St. Paul in 1952. Following a merger with Southern Airways in 1979, North Central became Republic Airlines, which in turn was merged into Northwest Airlines in 1986. In 1939 the Four Wheel Drive Auto Company (FWD), a major manufacturer of four-wheel transmissions and heavy-duty trucks based in Clintonville, Wisconsin, opened a flight department and traded a company truck for a Waco biplane for their company's use. In 1944 company executives decided to start an airline, and service started between six Wisconsin cities in 1946. 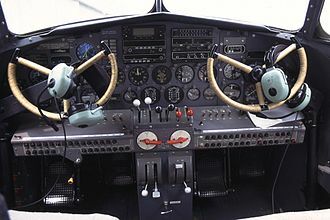 This led the company to buy two Cessna UC-78 Bobcats, and, soon after, three Lockheed Electra 10As. Certificated flights started with Electras to 19 airports on 25 February 1948; more revenue allowed three more Electra 10As, then six Douglas DC-3s. In 1952 the airline moved their headquarters from Wisconsin to Minneapolis, Minnesota; that December their name became North Central Airlines. Soon the airline ran into financial trouble when President Francis Higgins left, making Hal Carr the president. Carr quickly got the company out of debt and made it more reliable. Over time the company expanded their fleet to 32 DC-3s. In October 1952, Wisconsin Central had scheduled flights to 28 airports, all of them west of Lake Michigan, from Chicago to Fargo and Grand Forks. It added Detroit in 1953, Omaha and the Dakotas in 1959, Denver in 1969 and nonstop flights from Milwaukee to New York LaGuardia in 1970. It added five Convair 340s from Continental Airlines to its fleet of DC-3s, the first ones entering service in 1959. In 1960, North Central hit the one million passenger mark; in May 1968, it flew to a total of 64 airports, including two in Canada. Convair 340s were added to the fleet as well. Like other Local Service airlines North Central was subsidized; in 1962 its "revenue" of $27.2 million included $8.5 million "Pub. serv. rev." The airline even worked with the U.S. government to aid troubled airlines in South America. The first of five Douglas DC-9-31s entered service in September 1967 and the Convair 340s and Convair 440s were all converted to Convair 580s; the airline acquired more DC-9s and had 29 Convair 580s. The last DC-3 flight was early 1969; NC was the last local service carrier to use it. In 1969 North Central Airlines moved their headquarters to the south side of Minneapolis-St. Paul International Airport; in 2009 the building was the Building C Maintenance and Administrative Facility of Northwest Airlines. It is now used by Delta Air Lines after their 2008 merger with Northwest. The Civil Aeronautics Board (CAB) classified North Central as a "local service carrier," flying to cities in one region and feeding passengers to larger "trunk airlines" that flew nationwide. North Central eventually was allowed a few routes outside the Midwest: to Washington, D.C.-National, New York-LaGuardia, Boston, Denver, and Tucson. After deregulation of the airline industry North Central expanded and got McDonnell Douglas DC-9-50s, its largest aircraft. North Central purchased Atlanta-based Southern Airways and the two airlines formed Republic Airlines in July 1979, the first merger following airline deregulation. Republic soon targeted San Francisco-based Hughes Airwest for acquisition, and the deal was finalized in October 1980 for $38.5 million. Saddled with debt from two acquisitions and new aircraft, the airline struggled in the early 1980s, and even introduced a human mascot version of Herman the Duck. Republic kept North Central's hubs at Minneapolis and Detroit, and Southern's hub at Memphis. Within a few years they closed the former Hughes Airwest hub at Sky Harbor at Phoenix and also largely dismantled the Hughes Airwest route network in the western U.S.; reduced North Central's sizeable station at O'Hare at Chicago; and reduced Southern's sizeable station at Hartsfield at Atlanta. Republic also quickly downsized North Central's operations to and among smaller airports in the upper Midwest, concentrating their fleet at the Minneapolis and Detroit hubs. In 1986, Republic merged with Northwest Orient Airlines, which was also headquartered at Minneapolis and had a large operation at Detroit, which ended the legacy of Wisconsin Central and North Central. Following the merger, the new airline became Northwest Airlines (dropping the "Orient"), which merged into Delta Air Lines in 2008, finalized in early 2010. 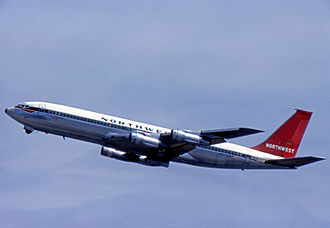 Northwest Airlines became part of the Delta name. When North Central Airlines started operations, the company's ICAO code was "NOR"; this was later changed to "NCA". When ICAO went from 3 to 2 characters, North Central became "NC", the same as its IATA code. Two North Central CV-580 aircraft at Chicago's O'Hare Airport in 1973. June 24, 1968 – A North Central Airlines plane clipped a guy wire on the 2,032-foot (619 m) tower for KELO-TV (Sioux Falls, South Dakota). The tower in Rowena was in service less than a year and was completely destroyed. Luckily, the plane landed safely with no injuries. August 4, 1968 – Flight 261, a Convair CV-580, collided with a Cessna 150 11.5 miles (19 km) southwest of Mitchell Airport in Milwaukee at 2,700 feet (820 m), as the northbound Convair from Chicago descended for an approach to runway 7. The cabin section of the northwest-bound Cessna embedded in the Convair's forward baggage compartment. The Convair lost electrical power and the right engine was shut down due to a damaged propeller; the captain completed a successful emergency landing six minutes later. All three teenagers aboard the Cessna were killed and the first officer on the Convair had serious leg and head injuries, but the other 3 crew and 8 passengers were uninjured. Heavy accumulation of insect debris on the Cessna's windshield was cited as a contributing factor. December 27, 1968 – Flight 458, a Convair CV-580, crashed into a hangar while attempting to land at O'Hare International Airport at Chicago, Illinois, killing 27 of the 45 people on board and killing one and injuring six people on the ground. April 23, 1970 – Flight 945, a DC-9 destined for Sault Ste. Marie Airport, was hijacked shortly after departure from Pellston Regional Airport. The hijacker demanded to be taken to Detroit. The hijacker was soon taken down, and there were no fatalities. June 29, 1972 – All five aboard (3 crew, 2 passengers) Flight 290, a Convair CV-580, were killed when it collided with Air Wisconsin Flight 671, a de Havilland Canada DHC-6 Twin Otter, with eight aboard (two crew, six passengers). Both crashed into the north end of Lake Winnebago, 3 miles (5 km) east of Neenah, Wisconsin, with no survivors from either plane. The collision occurred at 2,500 feet (760 m) on a mostly clear but hazy late morning as 290, two hours late, approached Oshkosh from Green Bay. The Air Wisconsin air taxi flight originated in Chicago and was set to arrive at Appleton from Sheboygan; both were operating under visual flight rules. December 20, 1972 – Flight 575, a DC-9-31, was cleared by an air traffic controller for takeoff at O'Hare in Chicago, while recently arrived Delta Air Lines Flight 954, a Convair CV-880, was instructed to taxi across the runway to a holding area. The DC-9 had just started to climb in the heavy fog when it clipped the tail of the CV-880. Ten of the 45 people on board the North Central DC-9 were killed in the resulting collision and crash and 15 were injured; there were two minor injuries on the Delta CV-880. July 25, 1978 – Flight 801 departed the Kalamazoo airport in Michigan at 7:00 am EDT in fog. The Convair 580 struck a bird immediately after lifting off from runway 17 and lost power in its left engine. It flew an additional 79 seconds, banking left, then crash-landed into a cornfield east of the airport. Of the 40 passengers and three crew on board, 2 passengers and a crewman had serious injuries, but there were no fatalities. (photo) The NTSB report attributed the cause of the crash to the captain's failure to follow proper emergency procedures. ^ "Smile, Milwaukee..." The Milwaukee Journal. February 25, 1970. p. 13, part 1. ^ "New Philadelphia non-stop". Milwaukee Sentinel. (advertisement). December 29, 1978. p. 7, part 2. ^ "Go North Central". Milwaukee Sentinel. October 19, 1955. p. 4, part 1. ^ World Airline Directory. Flight International. March 20, 1975."482. ^ "World Airline Directory." Flight International. 22 April 1978. p. 1181. "Head Office: 7500 Northliner Drive, Minneapolis, Minnesota 55450, USA." ^ "Northwest Airlines nwa.com – About Northwest – NWA Up Close". www.nwa.com. Retrieved 26 June 2017. ^ "Right off the tape". Milwaukee Sentinel. February 17, 1953. p. 5, part 2. ^ "Northwest Historical Timeline 1950's." Northwest Airlines. Retrieved on December 30, 2009. ^ "Northwest Historical Timeline 1960's." Northwest Airlines. Retrieved on December 30, 2009. ^ "North Central, Southern Airlines merger gets final OK from Carter". Milwaukee Sentinel. UPI. June 5, 1979. p. 5-part 2. ^ "Republic looking at Airwest". The Milwaukee Journal. March 12, 1980. p. 17. ^ "Republic Airlines takes over Hughest Airwest on Oct. 1". Deseret News. UPI. September 18, 1980. p. 10B. ^ Sussman, Lawrence (December 15, 1981). "Republic's financial woes leave Milwaukee vulnerable". Milwaukee Journal. p. 12-part 2. ^ "Duck the issue? Airline promoters try anything". Free-Lance Star. Fredericksburg, Virginia. Associated Press. April 8, 1982. p. 5. ^ Ehrenhalt, Lizzie (December 19, 2011). "The amazing journey of Herman the Duck, Minnesota's goofiest historic artifact". Twin Cities Daily Planet. Minnesota Historical Society. ^ "Northwest-Republic merger creates third-largest carrier". Miami News. Associated Press. August 1, 1986. p. 9A. ^ "Midair crash kills 3 near Mitchell Field". Milwaukee Sentinel. August 5, 1968. p. 1-part 1. ^ Williams, Edward D. (August 5, 1968). "US begins to probe midair crash here". The Milwaukee Journal. p. 1-part 1. ^ "NTSB Accident Report NTSB-AR-69-04, July 8, 1969, p. 1-2" (PDF). Retrieved 26 June 2017. ^ "Bugs hurt visibility, air crash pilot says". The Milwaukee Journal. August 6, 1968. p. 1-part 1. ^ Roesslein, Kenneth (August 6, 1968). "Heroic pilot confident of safe landing". Milwaukee Sentinel. p. 1-part 1. ^ "airdisaster.com". Retrieved 26 June 2017. ^ "NTSB Accident Report NTSB-AR-70-27, November 12, 1970, p. 6" (PDF). Retrieved 26 June 2017. ^ "Hijacking Description 19700423-0". Aviation Safety Network. Retrieved 16 January 2013. ^ Lubenow, Thomas G. (June 30, 1972). "Why did 2 planes collide over lake?". The Milwaukee Journal. p. 1-part 1. ^ Ranter, Harro. "ASN Aircraft accident Convair CV-580 N90858 Appleton, WI". aviation-safety.net. Retrieved 26 June 2017. ^ "National Transportation Safety Board Report Number NTSB-AAR-73-09 "Aircraft Accident Report North Central Airlines, Inc., Allison Convair 340/440 (CV-580), N90858, and Air Wisconsin, Inc., DHC-6, N4043B, Near Appleton, Wisconsin, June 29, 1972," adopted April 25, 1973" (PDF). Retrieved 26 June 2017. ^ "Witnesses describe June air crash". The Milwaukee Journal. September 20, 1972. p. 11-part 1. ^ NTSB Accident Report NTSB-AR-73-09 (PDF) (Report). National Transportation Safety Board. April 25, 1973. Archived from the original (PDF) on October 4, 2012. Retrieved February 16, 2013. ^ "11 are killed in crash of Airliner in Chicago". Pittsburgh Post-Gazette. Associated Press. December 21, 1972. p. 1. ^ "Aircraft Accident Report...Dec 20, 1972" (PDF). NTSB. Retrieved 16 March 2019. ^ "AAR-79-04" (PDF). www.airdisaster.com. NTSB. ^ "43 survive plane crash". Spokesman-Review. Spokane. Associated Press. July 26, 1978. p. 2. ^ "43 survive North Central plane crash". Telegraph-Herald. Dubuque, Iowa. UPI. July 25, 1978. p. 13. ^ "Photo: No fatalities in plane crash". Gadsden Times. Gadsden, Alabama. July 25, 1978. p. 1. ^ "Blame pilot in North Central crash". Milwaukee Sentinel. February 24, 1979. p. 7-part 1. ^ "NTSB Accident Report NTSB-AR-79-04, February 22, 1979" (PDF). Retrieved 26 June 2017. Wikimedia Commons has media related to North Central Airlines. Clintonville is a city in Waupaca County, United States. The population was 4,559 at the 2010 census, the area that became Clintonville was first settled in March,1855. In March,1855 Norman Clinton and his family U. P. Clinton, Boardman Luman and they built the first establishment that grew into the city of Clintonville. The home they built was constructed of poles covered with hemlock boughs and it was used until a more suitable home built of logs could be constructed. They had drinking water from two springs located on the bank of the river “Whose delicious water had flowed unmolested since the creation of the Universe. ”In March 2012. 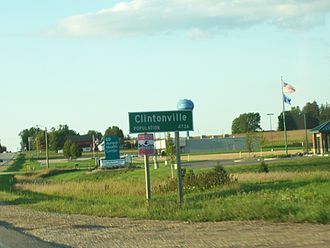 The U. S. Geological Survey detected a 1.5 magnitude microearthquake nearby on March 21 that geophysicists said might have produced the sounds, Clintonville is located at 44°3727 North, 88°4529 West. According to the United States Census Bureau, the city has an area of 4.46 square miles. KCLI - Clintonville Municipal Airport As of the census of 2010, there were 4,559 people,2,002 households, the population density was 1,036.1 inhabitants per square mile. There were 2,227 housing units at a density of 506.1 per square mile. The racial makeup of the city was 95. 6% White,0. 3% African American,1. 1% Native American,0. 4% Asian,0. 9% from other races, Hispanic or Latino of any race were 3. 3% of the population. 36. 9% of all households were made up of individuals and 17. 6% had someone living alone who was 65 years of age or older, the average household size was 2.24 and the average family size was 2.92. The median age in the city was 39.3 years. 24. 4% of residents were under the age of 18,8. 1% were between the ages of 18 and 24,24. 6% were from 25 to 44, 24% were from 45 to 64, and 18. 9% were 65 years of age or older. The gender makeup of the city was 47. 6% male and 52. 4% female, as of the census of 2000, there were 4,736 people,2,010 households, and 1,228 families residing in the city. 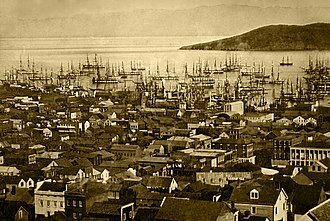 The population density was 1,120.7 people per square mile, there were 2,147 housing units at an average density of 508.1 per square mile. The racial makeup of the city was 97. 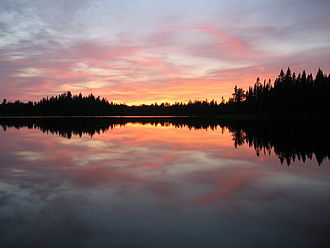 Wisconsin is a U. S. state located in the north-central United States, in the Midwest and Great Lakes regions. It is bordered by Minnesota to the west, Iowa to the southwest, Illinois to the south, Lake Michigan to the east, Michigan to the northeast, Wisconsin is the 23rd largest state by total area and the 20th most populous. The state capital is Madison, and its largest city is Milwaukee, the state is divided into 72 counties. Wisconsin is second to Michigan in the length of its Great Lakes coastline, Wisconsin is known as Americas Dairyland because it is one of the nations leading dairy producers, particularly famous for its cheese. Manufacturing, especially paper products, information technology, and tourism are major contributors to the states economy. 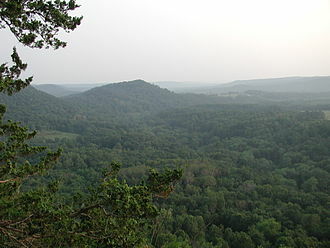 The word Wisconsin originates from the given to the Wisconsin River by one of the Algonquian-speaking Native American groups living in the region at the time of European contact. 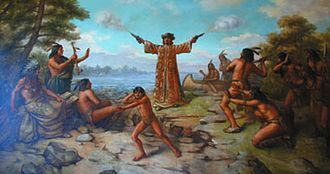 French explorer Jacques Marquette was the first European to reach the Wisconsin River, arriving in 1673, subsequent French writers changed the spelling from Meskousing to Ouisconsin, and over time this became the name for both the Wisconsin River and the surrounding lands. English speakers anglicized the spelling from Ouisconsin to Wisconsin when they began to arrive in numbers during the early 19th century. The legislature of Wisconsin Territory made the current spelling official in 1845, the Algonquin word for Wisconsin and its original meaning have both grown obscure. 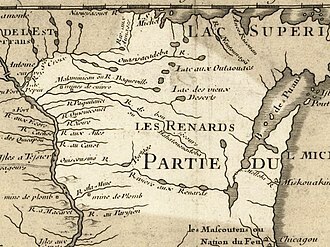 Interpretations vary, but most implicate the river and the red sandstone that lines its banks, other theories include claims that the name originated from one of a variety of Ojibwa words meaning red stone place, where the waters gather, or great rock. 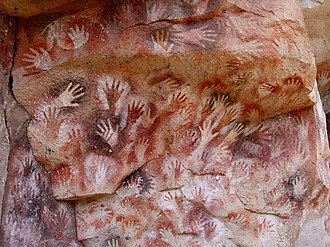 Wisconsin has been home to a variety of cultures over the past 12,000 years. The first people arrived around 10,000 BCE during the Wisconsin Glaciation and these early inhabitants, called Paleo-Indians, hunted now-extinct ice age animals such as the Boaz mastodon, a prehistoric mastodon skeleton unearthed along with spear points in southwest Wisconsin. 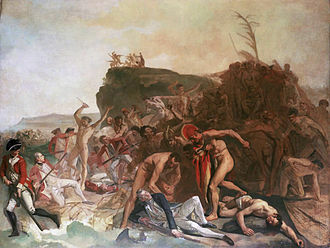 After the ice age ended around 8000 BCE, people in the subsequent Archaic period lived by hunting, agricultural societies emerged gradually over the Woodland period between 1000 BCE to 1000 CE. Madison is the capital of the U. S. state of Wisconsin and the county seat of Dane County. As of July 1,2015, Madisons estimated population of 248,951 made it the second largest city in Wisconsin, after Milwaukee, and the 84th largest in the United States. The city forms the core of the United States Census Bureaus Madison Metropolitan Statistical Area, which includes Dane County and neighboring Iowa, the Madison Metropolitan Statistical Areas 2010 population was 568,593. When the Wisconsin Territory was created in 1836 the territorial legislature convened in Belmont, One of the legislatures tasks was to select a permanent location for the territorys capital. Doty lobbied aggressively for Madison as the new capital, offering buffalo robes to the freezing legislators and he had James Slaughter plat two cities in the area and The City of Four Lakes, near present-day Middleton. Doty named the city Madison for James Madison, the fourth President of the U. S. who had died on June 28,1836 and he named the streets for the other 39 signers of the U. S.
Constitution. Being named for the founding father James Madison, who had just died. The cornerstone for the Wisconsin capitol was laid in 1837, on October 9,1839, Kintzing Prichett registered the plat of Madison at the registrars office of the then-territorial Dane County. Madison was incorporated as a village in 1846, with a population of 626, when Wisconsin became a state in 1848, Madison remained the capital, and the following year it became the site of the University of Wisconsin. The Milwaukee & Mississippi Railroad connected to Madison in 1854, Madison incorporated as a city in 1856, with a population of 6,863, leaving the unincorporated remainder as a separate Town of Madison. 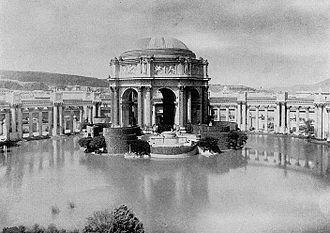 The original capitol was replaced in 1863 and the capitol burned in 1904. The current capitol was built between 1906 and 1917, during the Civil War, Madison served as a center of the Union Army in Wisconsin. Camp Randall, on the west side of Madison, was built and used as a camp, a military hospital. After the war ended, the Camp Randall site was absorbed into the University of Wisconsin, in 2004 the last vestige of active military training on the site was removed when the stadium renovation replaced a firing range used for ROTC training. The Douglas DC-3 is a fixed-wing propeller-driven airliner. Its cruise speed and range revolutionized air transport in the 1930s and 1940s and its lasting effect on the airline industry and World War II makes it one of the most significant transport aircraft ever made. The DC-3 was a twin-engine metal monoplane, developed as a larger and it had many exceptional qualities compared to previous aircraft. It was fast, had a range and could operate from short runways. It was reliable and easy to maintain and carried passengers in greater comfort, before the war it pioneered many air travel routes. Civil DC-3 production ended in 1942 with 607 aircraft being produced, together with its military derivative, the C-47 Skytrain, and with Russian- and Japanese-built versions, over 16,000 were built. Following the Second World War, the market was flooded with surplus C-47s and other transport aircraft. While the DC-3 was soon made redundant on main routes by more advanced such as the Douglas DC-6 and Lockheed Constellation. Large numbers continue to see service in a variety of niche roles well into the 21st century. In 2013 it was estimated that approximately 2,000 DC-3s and military derivatives were still flying, the DC-3 was the culmination of a development effort that began after an inquiry from Transcontinental and Western Airlines to Donald Douglas. TWA asked Douglas to design and build an aircraft that would allow TWA to compete with United, Douglas design, the 1933 DC-1, was promising, and led to the DC-2 in 1934. The DC-2 was a success, but there was room for improvement, Douglas agreed to go ahead with development only after Smith informed him of Americans intention to purchase twenty aircraft. The new aircraft was engineered by a led by chief engineer Arthur E. Raymond over the next two years, and the prototype DST first flew on December 17,1935. Its cabin was 92 in wide, and a version with 21 seats instead of the 14–16 sleeping berths of the DST was given the designation DC-3, there was no prototype DC-3, the first DC-3 built followed seven DSTs off the production line and was delivered to American Airlines. South America is a continent located in the western hemisphere, mostly in the southern hemisphere, with a relatively small portion in the northern hemisphere. It may be considered a subcontinent of the Americas, which is the used in nations that speak Romance languages. The reference to South America instead of other regions has increased in the last decades due to changing geopolitical dynamics. 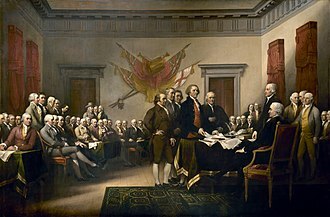 It is bordered on the west by the Pacific Ocean and on the north and east by the Atlantic Ocean, North America and it includes twelve sovereign states, a part of France, and a non-sovereign area. In addition to this, the ABC islands of the Kingdom of the Netherlands and Tobago, South America has an area of 17,840,000 square kilometers. Its population as of 2005 has been estimated at more than 371,090,000, South America ranks fourth in area and fifth in population. Brazil is by far the most populous South American country, with more than half of the population, followed by Colombia, Venezuela. In recent decades Brazil has concentrated half of the regions GDP and has become a first regional power, most of the population lives near the continents western or eastern coasts while the interior and the far south are sparsely populated. Most of the continent lies in the tropics, the continents cultural and ethnic outlook has its origin with the interaction of indigenous peoples with European conquerors and immigrants and, more locally, with African slaves. Given a long history of colonialism, the majority of South Americans speak Portuguese or Spanish. South America occupies the portion of the Americas. The continent is delimited on the northwest by the Darién watershed along the Colombia–Panama border. Almost all of mainland South America sits on the South American Plate, South Americas major mineral resources are gold, copper, iron ore and petroleum. These resources found in South America have brought high income to its countries especially in times of war or of rapid growth by industrialized countries elsewhere. However, the concentration in producing one major export commodity often has hindered the development of diversified economies and this is leading to efforts to diversify production to drive away from staying as economies dedicated to one major export. The airport is named in honour of Toronto-born Lester B. Pearson, Nobel Peace Prize Laureate and 14th Prime Minister of Canada, Pearson Airport is the largest and busiest airport in Canada. Pearson handles more international passengers than any airport in North America other than John F. Kennedy International Airport, Pearson is the main hub for Air Canada. It is a hub for passenger airline WestJet and cargo airline FedEx Express, Pearson Airport is operated by the Greater Toronto Airports Authority as part of Transport Canadas National Airports System. In 1952, the became the first in the world to provide facilities for United States border preclearance. An extensive network of domestic flights is operated from Pearson by several airlines to all major. As of 2017, over 75 airlines operate around 1,100 daily departures from Toronto Pearson to more than 180 destinations across all six of the inhabited continents. In 1937, the Government of Canada agreed to support the building of two airports for Toronto, one site was downtown, todays Billy Bishop Toronto City Airport. The other was to be outside the city, as a backup for the downtown field, a site near the town of Malton, northwest of Toronto, was chosen and the Toronto Harbour Commission purchased and acquired several farms to provide the land for the airfield. The first scheduled flight for the new Malton Airport was a Trans-Canada Air Lines DC-3 that landed on August 29,1939. During World War II, the British Commonwealth Air Training Plan operated No.1 Elementary Service Flying School, in 1958, the City of Toronto sold the Malton Airport to Transport Canada, who subsequently changed the name of the facility to Toronto International Airport. 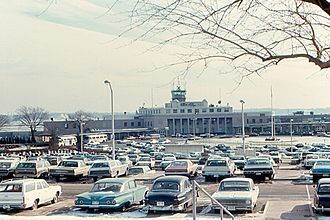 The airport was officially renamed Lester B. Pearson International Airport in 1984, the fourteenth Prime Minister of Canada and recipient of the 1957 Nobel Peace Prize. The Greater Toronto Airports Authority assumed management and control of the airport in 1996, Toronto Pearson International Airport has two active terminals, Terminal 1 and Terminal 3. A third terminal, the Infield Terminal, is not used for regular operations at Pearson. 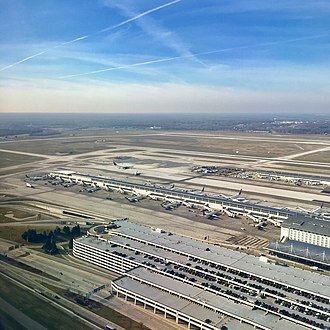 It is Michigans busiest airport, and one of the largest airline hubs in the country. The Federal Aviation Administration National Plan of Integrated Airport Systems for 2017–2021 categorized it as a large hub primary commercial service facility, the airport is Delta Air Lines second-largest hub by flight count. Detroit serves as the gateway to Asia for the Eastern United States for Delta and is the third-busiest gateway to Europe for the airline. 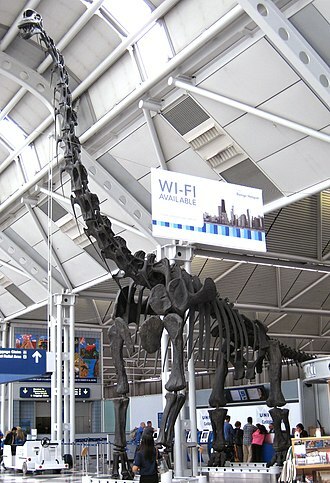 The airport is a gateway for tourism in metropolitan Detroit and is one of SkyTeams major Midwestern hubs. It is the fourth-largest base for Spirit Airlines and is a connecting point between the Eastern and the Western United States. Detroit Metropolitan Airport has maintenance facilities capable of servicing and repairing aircraft as large as the Boeing 747-400, in 2012 Detroit Metropolitan Wayne County Airport was the 16th-busiest airport in the United States and the 44th-busiest airport in the world in terms of passenger traffic. In terms of operations, it remains one of the ten busiest airfields in North America. Metro Airport serves the Toledo, area, approximately 40 miles south of the airport, the airport serves over 140 destinations and was named the best large U. S. airport in customer satisfaction by J. D. Power & Associates in 2010. Wayne County began to plan an airport in the townships of the county as early as 1927. Construction was completed in 1929, and the first landing was on February 22,1930 and that year Thompson Aeronautical Corporation, a forerunner of American Airlines, began service from the airport. From 1931 until 1945 the airport hosted Michigan Air National Guard operations gained by the United States Army Air Forces and it was named Romulus Field during the war, it was all east of Merriman Rd and north of Goddard Rd. 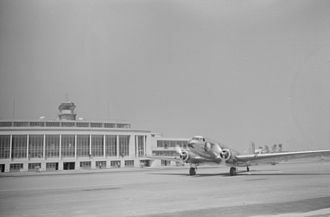 It was renamed Detroit-Wayne Major Airport in 1947, and in the three years expanded threefold as three more runways were built. In 1949 runways 3L/21R and 9L/27R were built, and in 1950 runway 4R/22L was added, pan-Am, and BOAC, were the first passenger airlines at Detroit-Wayne Major. The Waco Aircraft Company was an aircraft manufacturer located in Troy, Ohio, USA. 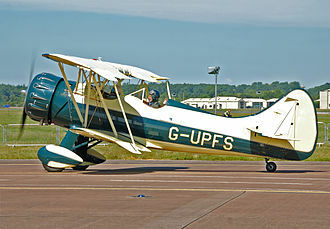 Between 1919 and 1947, the company produced a range of civilian biplanes. The company initially started under the name Weaver Aircraft Company of Ohio, WACO is usually pronounced wah-co, not way-co like Waco, whose name is entirely unrelated. The name comes from a field near Troy, Ohio - Waco field, which in turn received its name from a local war-cry, although an acronym, the company was universally referred to as Waco. In the spring of 1923 this became the Advance Aircraft Company in Troy, Ohio, at some point it was changed from Advance Aircraft Company to Waco Aircraft Company. The firm is often confused with Western Aviation Company, the name of four unrelated aircraft enterprises in Chicago, San Antonio and Burbank, California. Wacos history started in 1919 when businessmen Clayton J. Clayt Brukner and Elwood Sam Junkin met barnstorming pilots Charles Charley William Meyers and George Buck Weaver. The Waco name was well represented in the U. S.
civil aircraft registry between the wars, with more Wacos registered than the aircraft of any other company. Production types including open cockpit biplanes, cabin biplanes and cabin sesquiplanes as well as numerous experimental types. During World War II, Waco produced large numbers of gliders for the RAF and US Army Air Forces for airborne operations. The Waco CG-4 was the most numerous of their designs to be produced. 42 privately owned models of sixteen types were impressed into service as light transports, Waco ceased operations in 1947, having suffered the fate of a number of general aviation companies when an anticipated boom in aviation following World War II failed to develop. The final Waco relied on an experimental Franklin engine which, with the cancellation of contracts became so expensive, the Aristocraft. 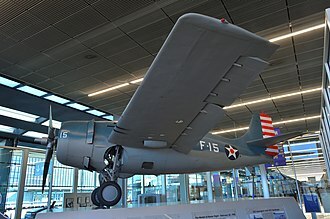 The European WACOs -- in some cases replacing the original Lycoming engines with less-popular Franklin engines -- were to be manufactured in the U. S. by WACO Aircraft Company at Syracuse, New York. Continental Airlines was a major United States airline, founded in 1934 and eventually headquartered in Houston, Texas. It had ownership interests and brand partnerships with several carriers, Continental was a minority owner of ExpressJet Airlines, which operated under the Continental Express trade name but was a separately managed and public company. 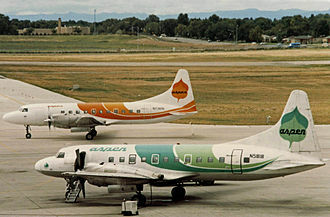 Chautauqua Airlines flew under the Continental Express identity, and Cape Air, Colgan Air, CommutAir, Continental did not have any ownership interests in these companies. Continental started out as one of the carriers in the United States. Post 1978, Continental grew into one of the countrys largest carriers despite facing financial troubles and other issues, in May 2010, the airline announced that it would merge with UAL Corporation, the parent company of United Airlines, via a stock swap. Continentals shares were acquired by UAL Corporation, the acquisition was completed in October 2010, at which time the holding company was renamed United Continental Holdings. During the integration period, each ran a separate operation under the direction of a combined leadership team. The integration was completed on March 3,2012, the airline commenced operations with the Lockheed Vega, a single-engine plane that carried four passengers. Following cancellation of all domestic airmail contracts by the Roosevelt administration in 1934, Six learned of an opportunity to buy into the Southwest Division of Varney Speed Lines which needed money to handle its newly won Pueblo-El Paso route. Six was introduced to Louis Mueller, Mueller had helped found the Southwest Division of Varney in 1934 with Walter T. Varney. As an upshot of all this, Six bought into the airline with US$90,000, Varney was awarded a 17-cent-rate airmail contract between Pueblo and El Paso, it carried passengers as a sideline. The carrier was renamed Continental Air Lines on July 8,1937, Six relocated the airlines headquarters to Denver Union Airport in Denver in October 1937. Six changed the name to Continental because he wanted the name to reflect his desire to have the airline fly all directions throughout the United States. Minneapolis is the county seat of Hennepin County, and the larger of the Twin Cities, the 16th-largest metropolitan area in the United States. 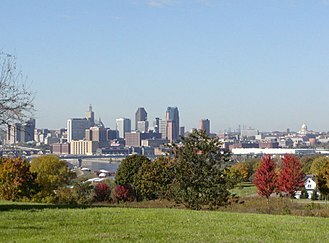 As of 2015, Minneapolis is the largest city in the state of Minnesota and Saint Paul anchor the second-largest economic center in the Midwest, after Chicago. 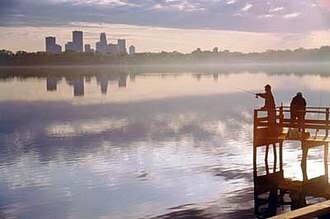 Minneapolis lies on both banks of the Mississippi River, just north of the confluence with the Minnesota River, and adjoins Saint Paul. It was once the worlds flour milling capital and a hub for timber, the city and surrounding region is the primary business center between Chicago and Seattle, with Minneapolis proper containing Americas fifth-highest concentration of Fortune 500 companies. As an integral link to the economy, Minneapolis is categorized as a global city. Noted for its music and performing arts scenes, Minneapolis is home to both the award-winning Guthrie Theater and the historic First Avenue nightclub. The name Minneapolis is attributed to Charles Hoag, the citys first schoolteacher, who combined mni, a Dakota Sioux word for water, and polis, Dakota Sioux had long been the regions sole residents when French explorers arrived around 1680. For a time relations were based on fur trading, gradually more European-American settlers arrived, competing for game and other resources with the Dakota. 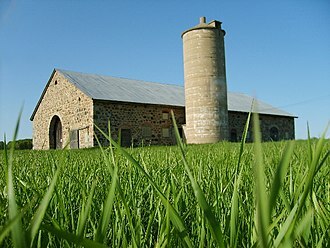 In the early 19th century, the United States acquired this territory from France, fort Snelling was built in 1819 by the United States Army, and it attracted traders and merchants, spurring growth in the area. The United States government pressed the Mdewakanton band of the Dakota to sell their land, the Minnesota Territorial Legislature authorized present-day Minneapolis as a town in 1856 on the Mississippis west bank. Minneapolis incorporated as a city in 1867, the rail service began between Minneapolis and Chicago. 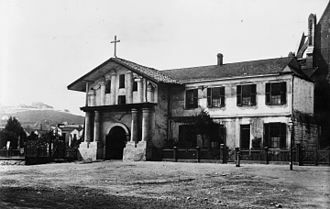 It joined with the city of St. Anthony in 1872. Minneapolis developed around Saint Anthony Falls, the highest waterfall on the Mississippi River, forests in northern Minnesota were a valuable resource for the lumber industry, which operated seventeen sawmills on power from the waterfall. By 1871, the west river bank had twenty-three businesses, including mills, woolen mills, iron works, a railroad machine shop, and mills for cotton, sashes. MSP airport in 2009 looking towards the northeast. A view of the southern portion of DTW’s McNamara Terminal and it’s parking garage. Aeromexico, Air France, and Delta occupy the McNamara Terminal. The Milwaukee Airport Rail Station provides service to Milwaukee as well as Chicago. Clockwise from top left: Downtown Minneapolis at night, the Mississippi River, Minnehaha Falls, and the skyline from the East Bank. Taoyateduta was among the 121 Sioux leaders, who from 1837 to 1851, ceded the land where Minneapolis developed. 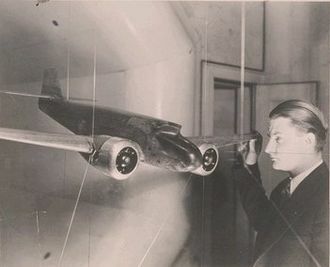 Clarence "Kelly" Johnson is testing an Electra model with single vertical tail and forward-sloping windshield in the University of Michigan's wind tunnel. St. Paul, showing barges on the Mississippi River, the Capitol dome, and Minneapolis's skyline in the far background (right of St. Paul). In the lower right is a typical nineteenth century home. Taken from Indian Mounds Park. 1929 model Advance Aircraft Company/Waco ATO 'Taperwing' of Vintage Wings of Canada. Reproduction of a Sopwith F.1 Camel biplane. The Antonov An-2 is the largest single-engine biplane design and has the longest production history of any biplane, and the second longest of any aeroplane. Biplane hang glider under tow. Philadelphia, US, 1920s. Renegade Spirit with Rotax 618 engine. The Handley Page W.8b was used by Handley Page Transport, an early British airline established in 1919. RCAF Cessna Crane as employed in the British Commonwealth Air Training Plan on display at the Canadian Warplane Heritage Museum. Inuksuk sculptures stand in front of the departures entrance at Terminal 1. 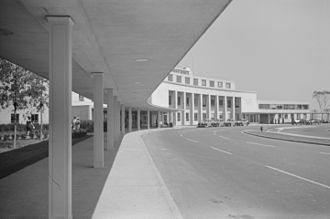 Terminal building in July 1941, shortly after it opened. Photograph by Jack Delano. JetBlue Gate 34 is dedicated to David Ortiz, former designated hitter for the Boston Red Sox. Looking west, January 1966. Only concourses A, B, and C existed then. A United Airlines Pilot Training Center was later built on the vacant land between the airport's west boundary and the housing tracts. Looking north, January 1966. Runway 35 became 35L, after 35R was built. The old United Airlines pilot training center buildings, on the airport proper, were still in operation. A UAL DC-8 pilot training flight has just made a missed approach, complete with its shadow. 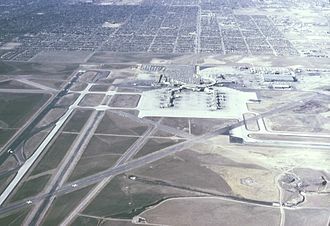 USGS aerial photo of Stapleton International Airport looking north, June 1993, shortly before its closure. Runway 17R/35L crosses Interstate 70 at its midpoint.